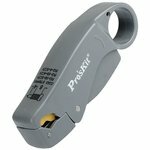 Convenient stripping tool specially designed for RG-58 / 59 / 6 coaxial cables. 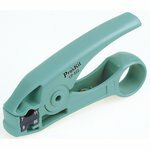 Rotary coaxial cable stripper made from ABS plastic. Strips RG-58 / 59 / 62 / 6 / 3C2V / 4C / 5C coaxial cables. 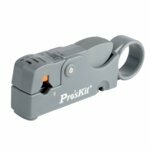 Rotary coaxial cable stripper made from ABS plastic. Strips RG-59, RG-6, RG7 and RG11 coaxial cables.